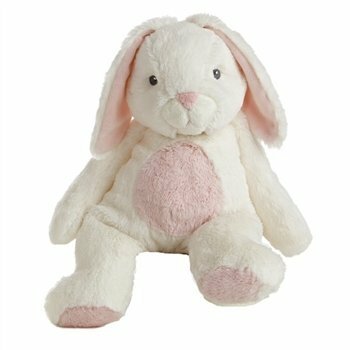 Bunny will be dictating from a box in the basement where he has assured me he lives a full and exciting life with Lucky Bear and others. The little girl thought about me yesterday for the first time in years. I felt the connection and told the others. I’ve been her friend for a very long time but I still call her a little girl even though I know she is over 60 years old. We both are. She was the only one who heard me calling that day from deep under the pile of clothes. She took me home and loved me. I felt that love again yesterday when she was telling my story. I want to tell the little girl that I have had a wonderful life. We moved to so many exciting places and I’ve had great friends along the way. Lucky Bear and I have a long-term relationship . Sometimes great things happen when you end up in the same box with others you really connect with. I think the little girl understands this. Just as she can feel me, I can feel her too. She is happy. She feels settled, connected and understood for the first time in a very long time. I’ll always be grateful to her for pulling me out of that stuffy pile of clothes, listening and loving me like a Bunny should be. Now I have to get back to Lucky Bear. Yes, that is her real name. I’ll leave the reason to your imagination (but I am a bunny….). 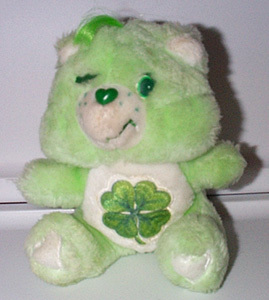 Oh, I have Share Bear from over 30 years ago. Actually I gave him to my future niece at her baby shower three years ago. May the sharing continue.